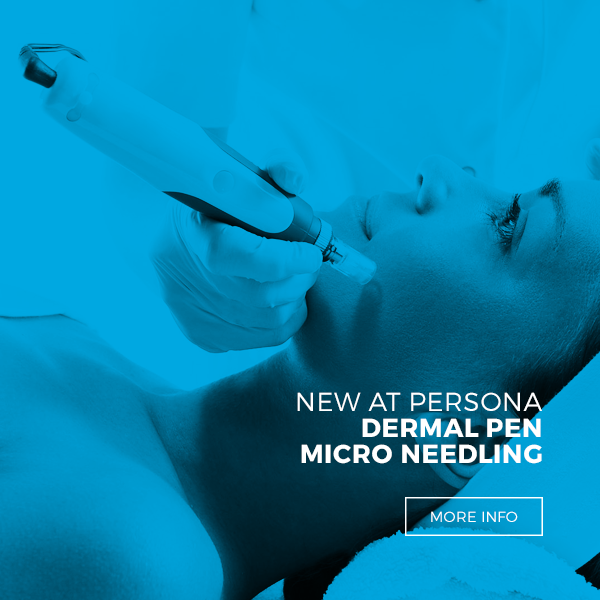 A technology that has been producing excellent results in recent years is Dermal Pen Microneedling, which is a significant improvement upon the older “Dermaroller” techniques. The procedure is based on the principle of collagen induction therapy, whereby a series of tiny needles penetrate the skin at a pre-set depth, causing thousands of harmless micro-wounds, “tricking” the skin into healing itself. This healing process induces an increase in collagen production, which rejuvenates the skin and effectively repairs acne scars and imperfections, as well as unsightly stretch marks. Microneedling has been revolutionized with the introduction of the Dermal Pen, which has made treatment easier, less painful, and safer. The pen offers numerous advantages over old roller microneedling techniques, with more consistent, longer lasting results and faster treatment times. These benefits together with the wide range of applications, makes Dermal Pen Microneedling the top choice for achieving better skin quality, and a younger look. What skin conditions can be treated by Dermal Pen Microneedling? If you’re after skin rejuvenation, the Dermal Pen can do wonders for you. Its efficacy has been proven to reduce wrinkles, tighten the skin, reduce sun damage, improve overall skin tone, and reduce large open pores. To get optimal results we advise 4 to 6 treatments, spaced 4 weeks apart. The appearance of stretchmarks can be significantly reduced by Dermal Pen Microneedling. Nearly all parts of the body can be treated, including the stomach, thighs, legs, and upper body. Depending on the severity of the stretchmarks, treatments for the largest areas can take up to 90 minutes (post-pregnancy stretch marks for instance). Since the skin on these areas of your body is slightly thicker, more sessions are needed to obtain optimal results. Usually 6 to 10 treatments, spaced 3-4 weeks apart should suffice. The excellent results obtained when treating acne scars with Dermal Pen Microneedling rival those of gold-standard treatments such as fractional laser, and are superior to those obtained with chemical peels. Side effects, are even more minimal. 6 to 10 treatments are required at an interval of 4 weeks apart.